Hope Cemetery Commission will be holding two public hearings on the topic of a plan for future cemetery development. If you have any feelings, please come to Esther Howland Chamber tonight or December 14 at 6:30pm. I’ll post further instructions for providing us with feedback in case you cannot attend either hearing. You’re Invited to the Public Art Town Hall Meeting! The City of Worcester is working to encourage and promote the enrichment of the cultural landscape of our city through aesthetic improvements of public spaces,uniting artist, and community, and inspiring civic pride. Come learn about the recent public art installations as well as hear the results of our creative space survey results. Attendance is FREE! Come share your ideas about how we can bring more Public Art to Worcester! The Public Art Working Group (PAWG) is made up of artists and art lovers who are committed to supporting public art in Worcester. You can learn more about the Public Art initiative at www.Worcestermass.org/PublicArt. 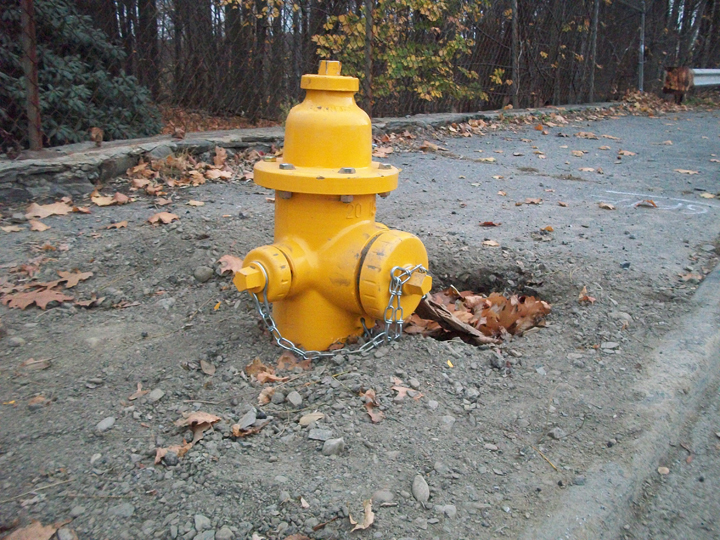 Last week this blog reported on a very short new fire hydrant on Mill Street. The same day that it was reported here, it was also reported to DPW via an online customer service request. Whether they’re fans of this blog, were going to fix that hydrant anyway, or are just super-responsive to residents’ service requests, I’d like to thank DPW for quickly taking care of this safety issue before repaving that sidewalk and before the snow starts falling. If you’ve travelled Worcester’s wild west at all this year, you’re undoubtedly acquainted with the seemingly endless road work going on along Mill Street to replace the water supply pipes. One hopes they’ll be done with the work before winter sets in. While replacing pipes, they’re also replacing hydrants — which should be a good thing, and usually is. Except for this hydrant, in front of 534 Mill St., which has been installed with its connections only a few inches off the level of the sidewalk pavement. Evidently the lessons from Upland Street haven’t been learned. 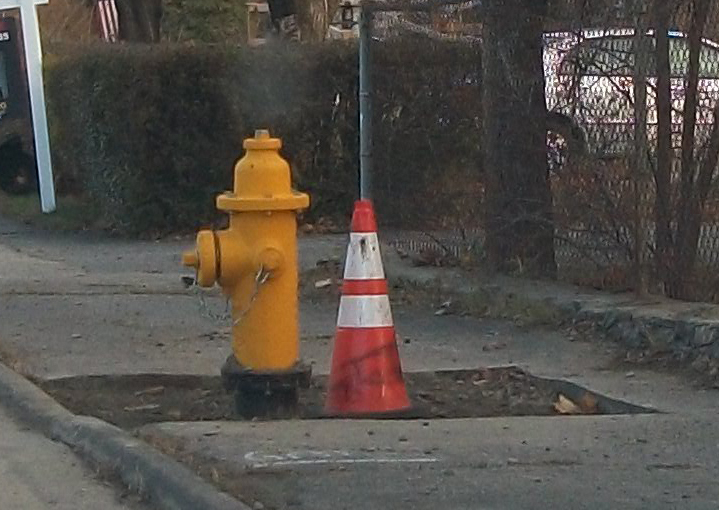 This hydrant, if left as is, will disappear entirely the first time we get a foot and a half of snow. On Friday, November 6, and Saturday, November 7, from 10am-4pm in the Saxe Room at the main branch of Worcester Public Library, the Friends of WPL will hold our Fall book sale. Prices are 50 cents to 2 dollars — buy three get one free! When you pay (incredibly low) yearly dues to the Friends, or make book donations, or purchase from the Food for Thought Cafe and Bookstore, or buy bags full of books at our book sales, you support the Friends’ many programs, including museum passes and the Give and Take bookcase at Union Station. So come on down and buy a lot of books! How, then, should we vote? Someone asked me if attending many debates had changed the way I will vote this election. After a few debates, my mind had been changed. There was an incumbent I had not previously voted for. I was impressed by his understanding of many issues, his ability to point out what is (and — just as important — what is not) possible for an elected official to accomplish, and what is and is not legal according to current state law. I appreciated his thoughtfulness in the answers to questions. Similarly, there was a challenger I had not been planning on liking, but I was impressed by the depth of his answers — and I was shocked with how much I agreed with him. After a couple more debates, I found I’d crossed those candidates off my list, as well as many others (for both city council and school committee). I wish I could say I’m a well-rounded voter who looks at candidates’ views on numerous issues, and that I decide who to vote for based on a complicated matrix. The issue of safety, especially school safety, has taken up much of the conversation, both on the city council and school committee sides. If a candidate is running for city council but really wants to run for school committee, I will not vote for that candidate. If a candidate thinks that police officers should have a presence in elementary schools, I will not vote for that candidate. If a candidate thinks that police officers should be teaching in high schools, that there should be a WPD version of JROTC, or that police in schools is an acceptable alternative to guidance or adjustment counselors, then I will not vote for that candidate. If you mention metal detectors in your campaign materials, I will not vote for you. You might have different criteria, different metrics. Ultimately, I vote for candidates who are well-informed, thoughtful, and caring. I don’t have to agree with a candidate on all issues, but it’s terribly important to have elected officials who are prepared, willing to learn, and — above all else — willing to stand for what is right. Vote for Tracy O’Connell Novick for School Committee. I can’t think of an elected official who works harder, who does more research, or who gives more of a crap about the schools than Tracy.